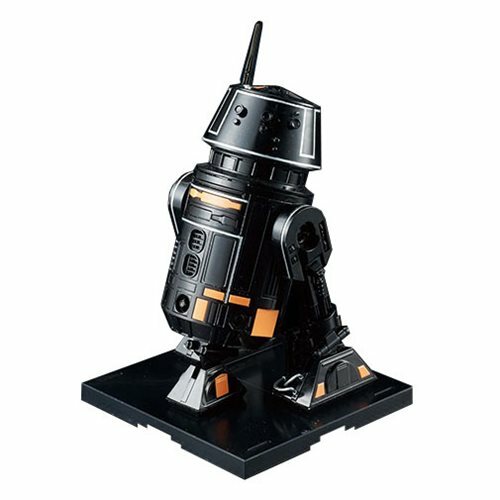 This Star Wars R5-J2 1:12 Scale Model Kit is a must have for Star Wars fans. An Imperial maintenance stationed aboard the Death Star II that provides support and repairs. The model kit includes a display base. 5x runner, stickers, and instruction manual. Measures about 3 3/5-inches tall. Ages 15 and up.